Lancaster at War: Buell's Regimental Reshuffling: The 7th Brigade, 'Company Q', etc. Buell's Regimental Reshuffling: The 7th Brigade, 'Company Q', etc. 1861 and much of 1862. This didn't change too much for the 79th Pennsylvania. Their brigade commander was still James S. Negley of Pittsburgh, but it would now officially be labeled as the "Seventh Brigade." The 78th Pennsylvania stayed in the brigade. The 77th Pennsylvania was traded for the 38th Indiana, but they probably weren't missed too much given the 77th/79th PA flag controversy of early November. The brigade also gained the 1st Wisconsin, which would fight alongside the 79th Pennsylvania for much of the war. Their division commander remained Alexander McDowell McCook. On the subject of reorganization, I just ran across an interesting account of the journey of Capt. Pyfer's company from Lancaster, which was recruited for Col. Hambright's regiment. A large group of the men arrived at Camp Nevin on the night of November 13 and were assigned a spot in camp, but when they awoke the next morning they were alarmed to realize that they were in the midst of the Col. Stumbaugh's regiment, the 77th Pennsylvania. It turned out that Col. Hambright's regiment was filled to capacity, but Stumbaugh was in need of more men. Pyfer's company protested by picking up all their belongings and pitched tents with the 79th Pennsylvania. They lived a couple weeks as an orphan company, depending on the generosity of Col. Hambright, and determined to serve with the regiment for which they signed up. However, as Negley's brigade moved on from Camp Nevin and the weather turned sour, the company submitted to orders by Gen. Negley and was mustered in as Company K, 77th Pennsylvania, on December 8. You can read a full account by Sgt. 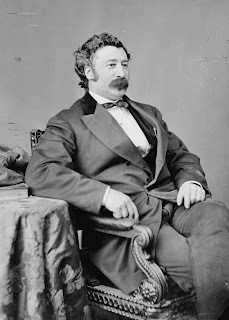 John Obreiter, one of the Lancasterians in the middle of the controversy, in The Seventy-seventh Pennsylvania at Shiloh (beginning on p. 66).